Things to do in Madrid? What to do and where to go in Madrid? 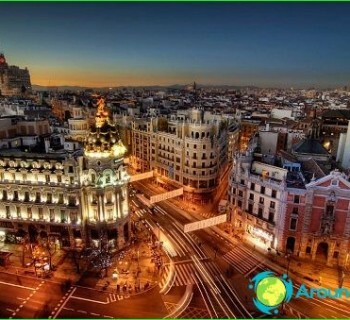 Home>Articles on Spain>Articles on Madrid>Things to do in Madrid? What to do and where to go in Madrid? Madrid - the Spanish capital, where the afternoon you can walk through the narrow streets, making stops in cafes and restaurants, and in the evening - to come off in nightclubs, where life abounds. Visit the Royal Palace and the Reina Sofia Museum. 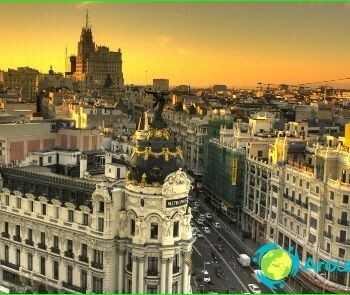 Introduction to Madrid should start with a walkthrough the streets of the city, such as walking down Gran Via, you will be able to look in the shops and souvenir shops, to look at the performances of street artists. Turning to the Puerta del Sol, you will be able to stand on the zero kilometer. Admire the architecture of Spanish you will be able to España Square, which is famous for its green spaces and the monument of Don Quixote and his squire Sancho Panza. Be sure to visit the park Casa de Campo, where there is clear lakes, amusement park, aquarium and zoo. Those who gather in the Madrid Casino, will be able to admire the national treasures - paintings and sculptures, neo-Gothic library, antique glassware. Madrid will delight true shopaholics seasonalClearance (March January-July 6, August 1-July 31) - at this time, you can purchase equipment and fashion items at deep discounts (up to 90%). 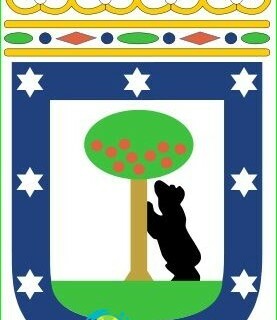 The main shopping centers are areas of Salamanca, Arguelles, Fuencarral, Cuatro Caminos, Barkilo. Children should please the kids going to theentertainment center "Pumbaa", planetarium, astronomical visiting room where they will be able to go on an exciting journey into space, as well as the Park "Faunia", where you can enjoy a theatrical light show seals. Active travelers should go in sportsclubs and centers of winter activities. So, enjoy the speed and ride on a steep turn is possible in karting center Carlos Sainz, water sports - club Alberche Kayak. And fans of snowboarding and skiing will be able to engage in his favorite sport in the heart of "Madrid Show Zone", open all year round. Arriving in Madrid, connoisseurs will be able tospend time in numerous museums, youth and sports fans - in parks with extreme rides, fans of nightlife - discos and nightclubs.